Sound City reveals latest raft of new acts for Baltic Triangle-based festival, as Getintothis hosts a late night show featuring King Khan and The Shrines, Peter Guy looks ahead to the May event. Liverpool Sound City has revealed more than one hundred new acts to play the Baltic Triangle based festival on May 5-6. 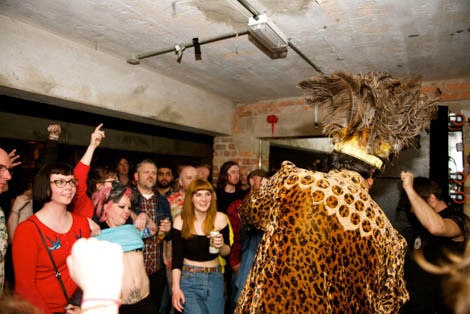 Heading the announcement is King Khan and The Shrines who will headline Getintothis‘ aftershow party at Hangar34 on Saturday May 5. 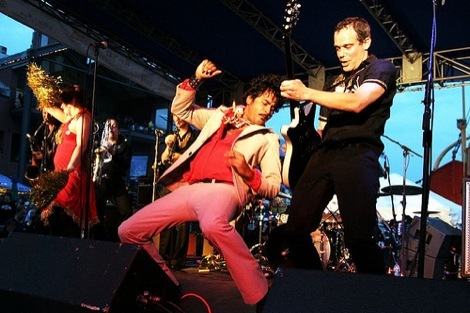 Renowned for their riotous and ridiculously high octane garage rock, King Khan and the Shrines representatives a significant coup by the Sound City team – with the band named our number one gig of 2014 when they played alongside Strange Collective at a newly-revamped Korova. And the Getintothis after-party is further bolstered by a trio of our favourite Merseyside new talents. 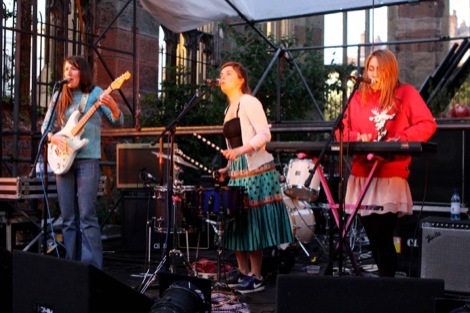 Also featuring at the aftershow at Hangar34 are epic space-rockers Pale Rider, gothic blues quartet King Hannah and the charismatic pop provocateur Beija Flo – completing what is guaranteed to be an after-hours musical treat. 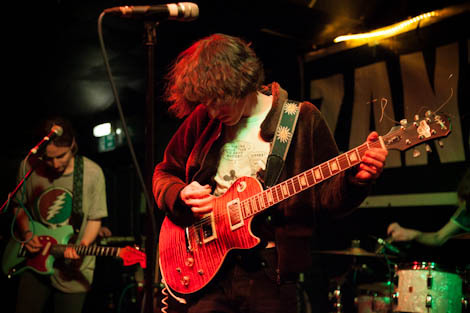 All three acts have featured at our Deep Cuts gigs at Buyers Club with Pale Rider and Beija Flo going on to receive nationwide acclaim with their debut singles. 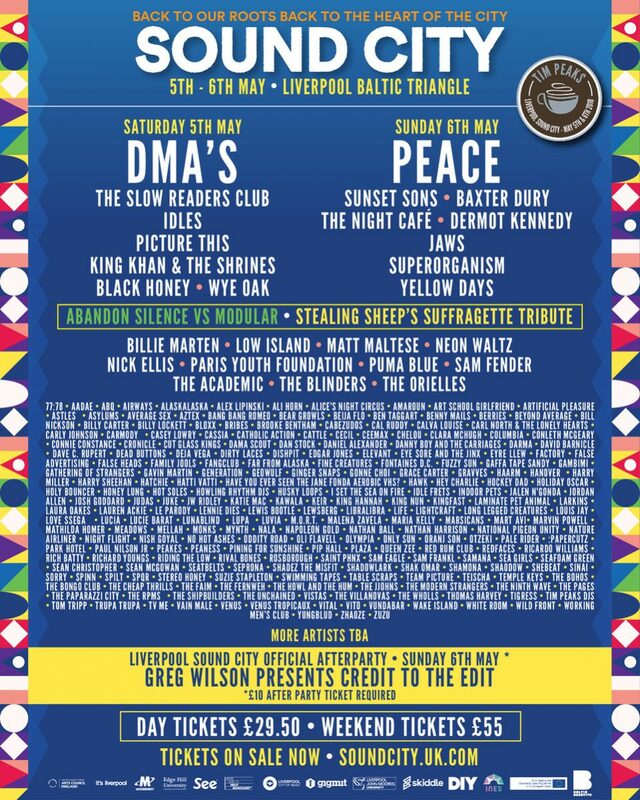 Meanwhile, Sound City organisers have added around 100 new acts to the bill, which is headlined by DMAs and Peace. Deltasonic signees White Room line up alongside Skeleton Key heads Cut Glass Kings and The Fernweh plus Deja Vega, Richard Youngs, Marsicans, Husky Loops, Eyre Llew and Catholic Action. 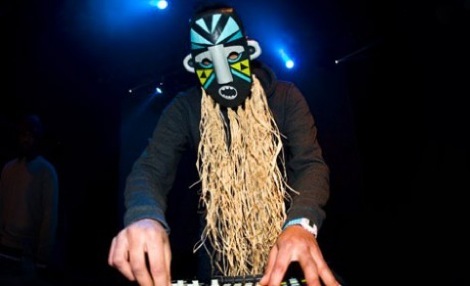 Among the raft of Liverpool artists added are Ali Horn, SPQR, Rival Bones, Bill Nickson, Astles, TV ME, Jalen Ngonda, Katie Mac, Eyesore and the Jinx and Beyond Average. 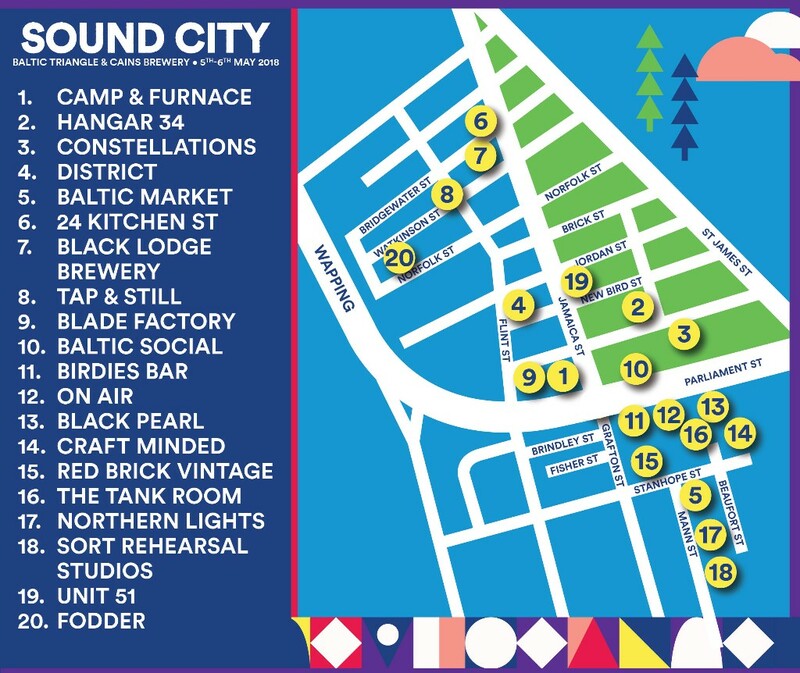 Meanwhile, the full list of venues has also been released and include Camp & Furnace, Hangar34, District, On Air, Constellations, Baltic Market, Constellations Garden, Blade Factory, 24 Kitchen Street, Baltic Social, Red Brick Vintage, Unit 51, Craft Minded, Tap And Still, Black Pearl/Bedouin Bar, Black Lodge Brewery, Birdies, Brick Street with the Tank Room acting as wristband exchange, Sort Rehearsal Studios for artist accreditation and Tusk and Northern Lights hosting intimate gigs plus exhibitions. Here’s a handy map of the venues.